Musicians from various parts of India have risen to popularity across genres and have been coming across as a voice for concerns of people including identity crisis and human rights violations. 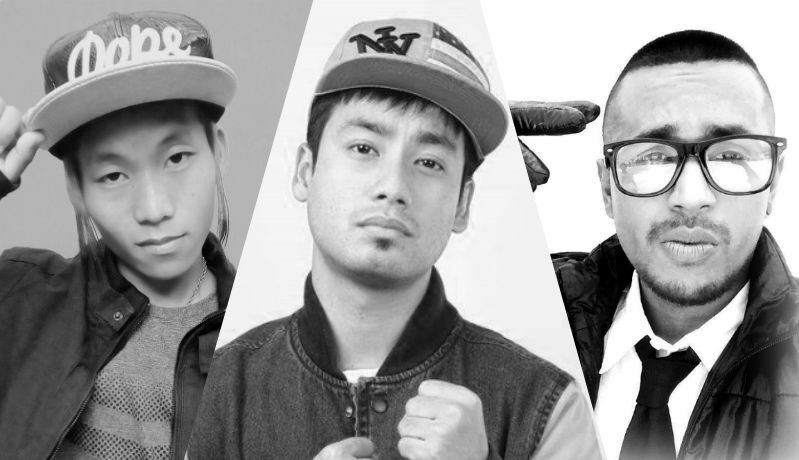 Below is a group of few such musicians and rappers who have come up with innovative ideas to raise their opinions through songs about different social issues and their voice against racism that Indians from the North-East face from the rest of the country in no uncertain terms. Rapper Samir Rishu Mohanty aka Big Deal from Odisha made a powerful music video "Are You Indian?" which encapsulates the kind of discriminatory and racist comments that North-Easterners are subjected to on a regular basis. Over 200,000 views in just less than a week, this music video has managed to create a buzz in the social media. "Please don't get me wrong, NE is where I'm from, NE is where I was born, NE is where I belong!" Artists like Feyago, Cryptographik Street Poets, Khasi Bloodz, Symphonic Movement, Stunnah Beatz and B-boy Kim have been featured in the video by 101 India as part of a series called 'Hip Hop Homeland'. A 13-year-old member of the Symphonic Movement rapping about social issues around him is a revelation. Kekho Thiamkho aka K4 Kekho became a household name in Arunachal Pradesh with his song "I am an Indian" which created waves right after the music video was released. Though initially pressurized by his parents to take up a government job, Kekho’s recent success and recognition has brought in much support from them.